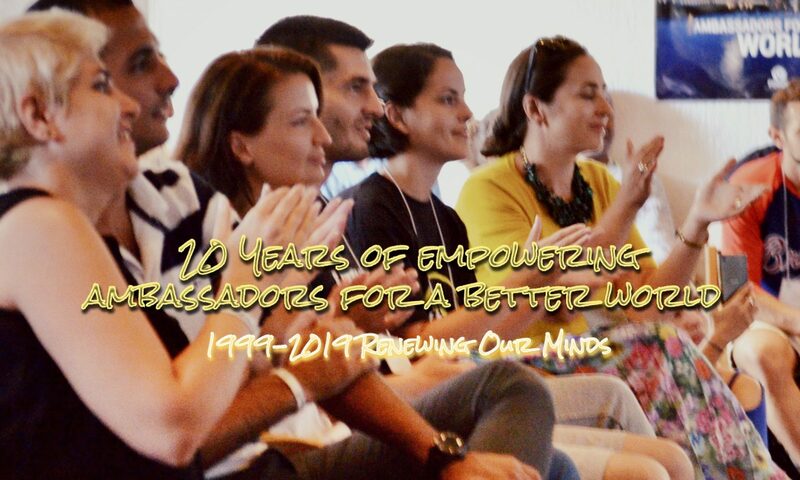 If you have in the past 20 years attended a Renewing Our Minds (ROM) gathering or Economic Diplomacy and Integrity (EDI/EDS) seminar, you should have received by now our invitation by email to join us in the special week of celebration of friendship and thanksgiving for the first twenty years of the Renewing Our Minds (ROM) movement. More than one hundred and thirty friends have registered to date, and we would not want you to miss out on this milestone ROM Gathering in Ohrid, Macedonia at the end of July. As you receive the invitation email please make sure your completed registration form is sent back to us by May 15, 2019 the latest. We are expecting to be a sizable group, and the work of preparation and planning, including the questions of logistics require that we all register early. We cannot guarantee at this time we will be able accept registrations coming our way after the set deadline, namely after 15th May, 2019. So it is very important that you register on time. If you have been part of ROM or EDI past events and activities, but have not received the invitation letter and registration form yet, contact us immediately by sending us your emial to rom20anniversary@gmail.com . If you have any question, suggestion, or if you believe you can also help in any way, do not hesitate to send us an email at any time. Come and join us as we celebrate our friendship and the goodness of God, and His leadership over the past 20 years. Much love and abundant blessings.